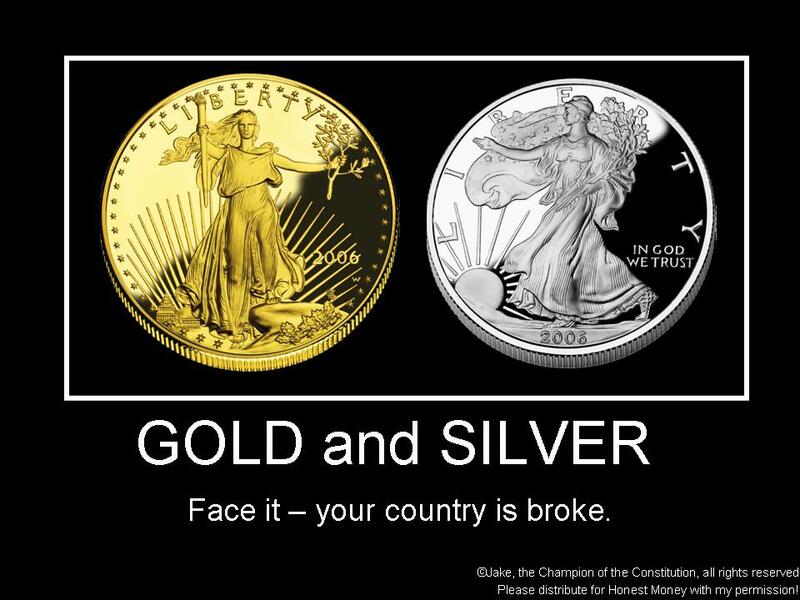 First, I still encourage people to buy gold and silver. Silver is cheap and easy to invest in for anybody. Northwest Territorial Mint has an excellent program called MAP (Monthly Accumulation Program). You tell them how much you are willing to spend each month (for example $50 or $100), and pick a day each month for them to spend it for you, such as the third day of every month. They buy how many ever ounces that much will buy for you at that day’s spot price, send you an invoice for the amount you authorized or less, and hold onto it for you. Once you reach a certain amount of ounces, for example, 20 oz of silver in 5 oz bars, they ship it to you for free. Once you get it, drop it in the cheapest deposit box you can find. This is not short term investing, this is long term, retirement style investing, so make sure you can do without the money. The spot price using MAP is a little higher than I would like to see, but the projected increases in silver and gold are so much so, and the percentage increase in inflation every year that is destroying your money anyway is such that quibbling over a few percentage points for such an easy to use auto-pilot investment program are not worth discussing. You can also buy direct from NWTM at lower premiums when you meet minimum oz requirements. However, they also have an on-line store, which doesn’t care how little you buy, but the premiums are slightly higher to reflect that. As I have a bromance going on with Peter Schiff, whose internet radio show is a god-send for those of us who would remain Patriots to the end, I would be remiss if I failed to mention his relatively new precious metals company which you can visit here. He does not have a MAP program, yet, but he does have some of the lowest markups I have seen. Peter also runs EuroPac, where I have an account. This allows me to have monthly deductions taken automatically and invested in stocks in companies of nations outside of the U.S. If you want to check Peter Schiff out, you can also check out his YouTube Channel and his Gold Blog. If you realize how genius this guy is like I do, I would recommend signing up for premium membership on his radio show, or listening for free. I have a premium account just because I don’t want to hear commercials and I can play archived episodes and I want to support his efforts on getting the word out on our Big Government. You can also watch, Peter Schiff Was Right, which contains a montage of Peter predicting the housing bubble, crash and economic crash it would cause and being laughed at on the MSM channels. Of course, whose laughing now? An additional way to invest, is to hold onto your pennies and nickels. Just find a container somewhere, and toss every penny and nickel you have into it. Pennies currently cost the U.S. Mint 2.2 cents to produce, and 10 cents to produce every nickel. Due to inflation, caused by The Fed, the metals actually used in pennies and nickels are more valuable than the face value of the coin they are used to produce. 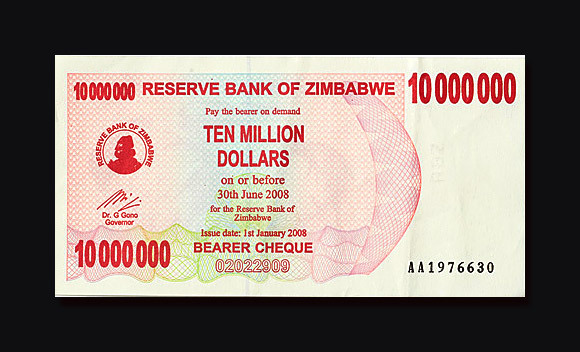 Remember those pictures of Zimbabwean currency with a one and seven zeros after it? This is how it happens. Eventually we have to stop producing the pennies and nickels because of inflation, which makes the dime the lowest coin around, and what is a dime but a penny with its first zero after it? And on we go from there. Therefore, at some point in the future, when you need a new rocking chair for your front porch, you will have enough metal to sell for much more than the face value of the coins. Would this require melting down of the coins? Probably. Is that illegal? Yes. But so is speeding, and how often does that happen? I leave it up to you to decide for yourself. Some may be concerned about using a deposit box, but I would not worry about it. There was a rumor that during the last gold confiscation the Government would only allow lock boxes to be opened in the presence of an IRS officer. This is an urban legend. Besides, during the last Government mandated gold confiscation, most people simply did not turn in their gold, they just held it. Only the morons did what the Government told them to do. You know, the same morons that believed that if they liked their insurance policy they would get to keep it. There is also a rumor that all lock boxes were “frozen” and prevented from being opened. This is also urban legend. Not saying the new totalitarian socialist troika is not capable of mandating this, but it is such a long shot that we would see it coming and be able to take it out before it happens. That is to say, everyone paying attention can protect themselves, who cares about the citizen zombies. They won’t have any silver or gold anyway, because the Government told them it was bad, dollars are better. My last word on investing for now. If you have a 401k through your employer, only invest as much as needed for the matching program, assuming you still have one. Most of them in the private sector have been eliminated. Do not invest in U.S. Treasuries or Bonds, and stay out of the U.S. dollar. Invest in foreign stock mutual funds, or domestic blue chip funds. If you don’t have matching, I wouldn’t bother investing in your company’s 401k. If possible, convert your cash to foreign currencies and save it or buy gold and silver. Some even convert the cash and shove it in their deposit box. You can also buy gold and silver ETF’s such as GLD or SLV (there is some risk associated to them having more investment than gold and silver to back it, but at present this is a minor risk and unlikely to become a serious concern – just keep an eye on the news about these funds). Currencies from Switzerland, Australia and New Zealand are preferred. Even better is to buy international stocks using foreign currencies. When you do this, you not only get the benefit of buying stock in a company that will not be bludgeoned by the failing U.S. economy, but your investment will also appreciate in value just based on the currency you used to buy the stock. For example, if you buy $100 worth of Company XYZ in Swiss Franc, and their stock stays the same value all year, but the Kroner appreciates against the dollar by 3%, then you just made 3% on your money even though the stock never moved, and if the stock did move up, even better. If it moved down a bit, that would be offset by the increase in the currency and vice versa. It’s a way to get a double-barrel shotgun of risk protection. If you invest in the USD, you are going to lose. I don’t mean tomorrow, or next year, I mean well before you need that new rocking chair. Don’t wait too long, the collapse in the economy is inevitable. Don’t be in USD when it gets here, like the US Bonds and Treasuries which make up all of those “conservative” mutual funds employers offer in their 401k’s. Be in something that will reward you for, and during, a crash. Also, gold mining companies have been scaling back production. They spent the first few years after 2006 ramping up in anticipation of rising gold prices due to The Fed inflation by opening new mines and buying assets for mining expansion. Because the National Banks of the world, in cooperation with the largest private banks such as Goldman Sachs and others, have been manipulating the market to artificially suppress the gold price, these mining companies have had to scale back on capital purchases, and trim debt. The gold runup has been delayed, but not cancelled. This makes gold and silver mining companies supremely undervalued. When the gold run-up does occur, the delay in ramping up mining production in response will only exacerbate the shortage in these precious metals driving the price even higher. This will be a boon for these mining company stocks and anyone who owns them.